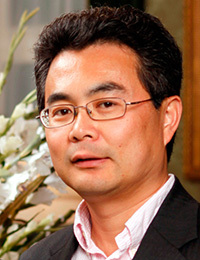 Jiebo Luo joined the Department of Computer Science at the University of Rochester in the fall of 2011 after over fifteen years at Kodak Research Laboratories, where he was a senior principal scientist leading research and advanced development. He has been involved in numerous technical conferences, including serving as the program co-chair of ACM Multimedia 2010, IEEE CVPR 2012, ACM ICMR 2016, and IEEE ICIP 2017. He has served on the editorial boards of the IEEE Transactions on Pattern Analysis and Machine Intelligence, IEEE Transactions on Multimedia, IEEE Transactions on Circuits and Systems for Video Technology, ACM Transactions on Intelligent Systems and Technology, Pattern Recognition, Machine Vision and Applications, and Journal of Electronic Imaging. He is a Fellow of the SPIE, IEEE, and IAPR, as well a member of the ACM and AAAI. Dr. Luo is a Data Science CoE Distinguished Researcher with the Goergen Institute for Data Science .